Ever since a good friend of mine gave me my 20th Anniversary Sonic the Hedgehog I’ve decided that I would like a few Sega characters sprinkled throughout my collection. I was surprised by how much I liked seeing Sonic standing next to my TV and games. It really added some charm to the collection. The problem is unlike Nintendo there aren’t many Sega figures being made. So I was very surprised to find that there is an Earth Worm Jim figure. I first saw this relatively new Earth Worm Jim at Fan Expo this past fall for $20. And somehow in the excitement I forgot to buy him. About a week ago I found him again by chance at a local comic book shop for the same price. So I picked him up (along with a cool Gordan Freeman figure)! Jim is very well done. The sculpt and paint are perfect. I don’t think he could ever be done more accurately. He could have a little more articulation but for me he’s perfect. I’ve placed him next to his game on one of my more sparse shelves. He helps fill it out a bit. And if Jim weren’t cool enough, my good buddy has struck again and given some more goodness for the Collection. 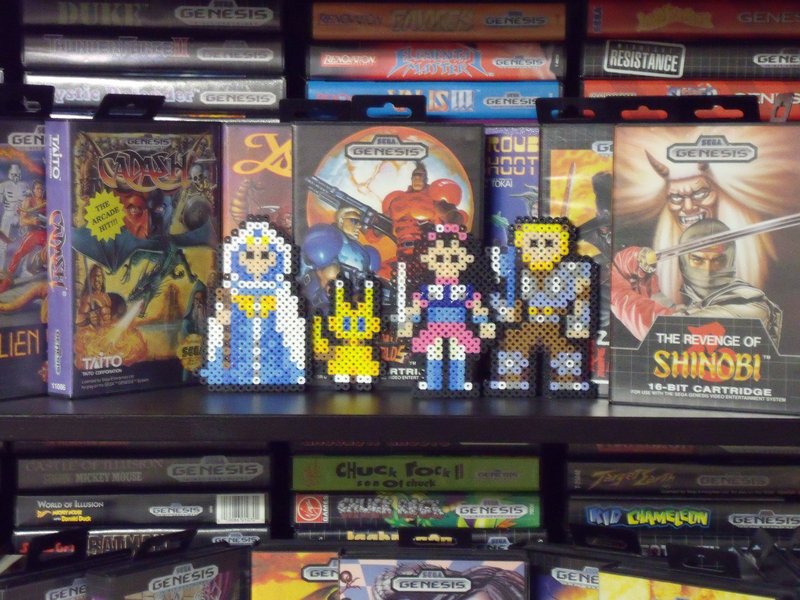 Below you’ll see bead art for the main characters of Phantasy Star 1. This craft is very clever and particularly well suited for 8bit and 16bit video games. Up close they don’t look that great but from the right distance they look excellent. I don’t think this will be their final home. I might move them to the top of the book shelf once I figure out a way to get them to stand. 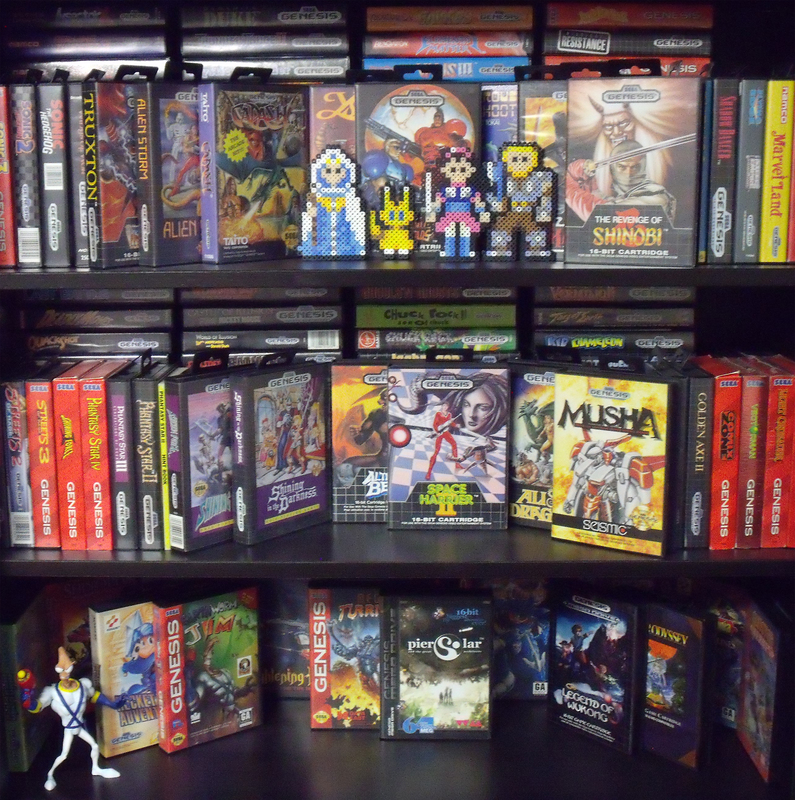 My buddy who gave me the bead figures (and Sonic) has a pretty good retro video game collection himself. He’s been focusing on 8bit and older. If he ever gets around to posting his own stuff I’d love to put up a link. This is his blog about the little things in life; the mundane, the silly and the fun: robinsbyacres.blogspot.ca But don’t bother going there. He doesn’t care anymore. On an unrelated note: While I was searching online to find out what people call ‘bead art’ I found this little graphic that someone whipped up. Looks like they intend to make this graphic into a bead art version. Of course I’m a big Retro fan and I also really enjoy my xbox so I couldn’t help but fall in love this little gem. A Bill Gates boss battle! Epic!.. and even a bit ominous looking. Great job Doctor Octoroc! You Rocked it! You might want to check out Octoroc’s own site (www.doctoroctoroc.com) where you’ll find some pretty unique stuff like a Sonic Christmas level mock-up complete with 16-bit Xmas music. Poor Mario. I hope he wasn’t the groups healer. 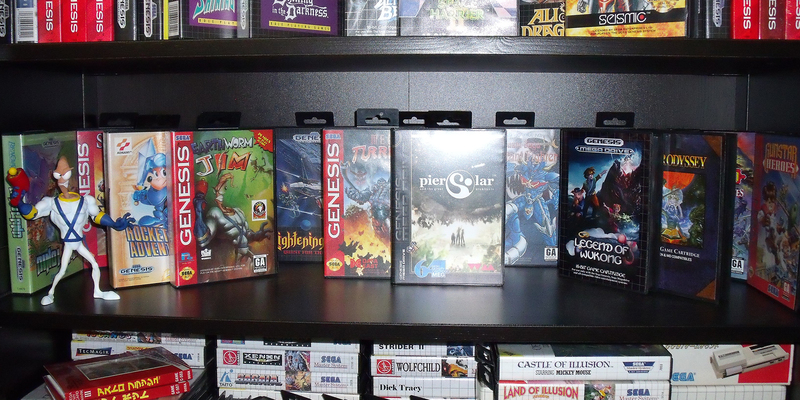 ← Sunsoft Mega Drive Games – New Addition (Tel Tel Stadium) and Roger! Nice! 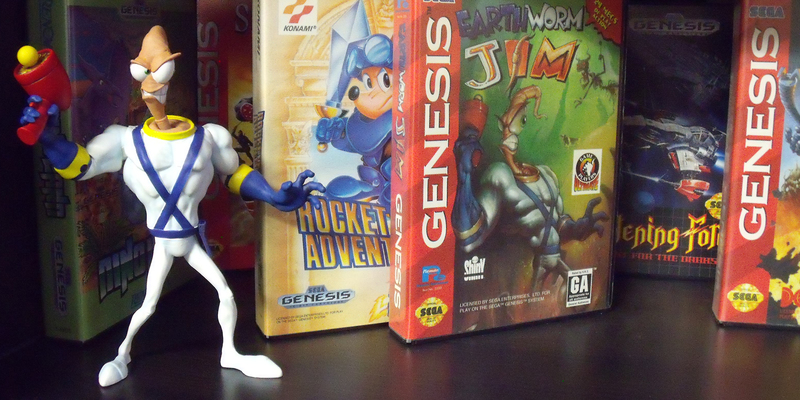 FYI there are a bunch of Earthworm Jim figures out there, as some were made for the cartoon that came after the game and more recently, some new figures were put out (I think by Mezco Toyz). That pixel art is awesome, but I want to play that game in the pic you posted! 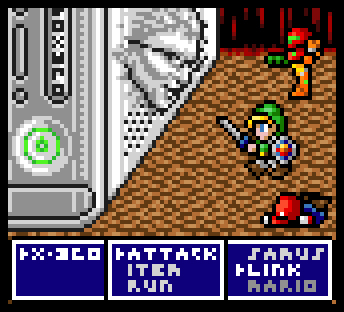 Could you imagine some crazy fan game with all those references and more in them? I know there’s a RPG Maker game made about game journalists as well as plenty of mash-ups with FF characters, tons of Mario and Zelda clones and so forth and so on. But i really haven’t seen too many that were actually funny (or they try too hard and fail at comedy). Now that I have one Earth Worm Jim that should be enough for him. But I will keep an eye out for other Sega figures from the Genesis era. I have seen a series called Girls of Sega (or something like that) and they had an OK Nei and the character from the last Wonder Boy but I think they are very small. I’m not sure how good they are.